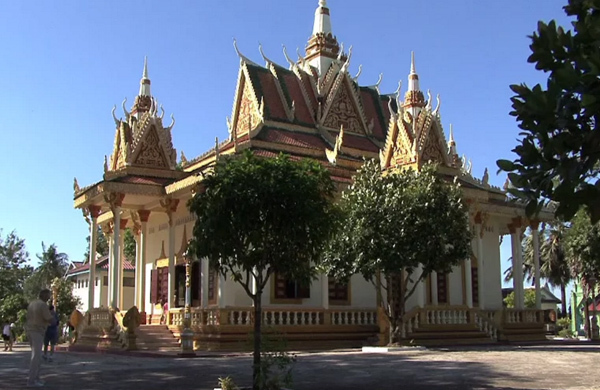 Since 2004, garments, construction, agriculture, and tourism have driven Cambodia's growth. GDP climbed more than 6% per year between 2010 and 2012. The garment industry currently employs about 400,000 people and accounts for about 70% of Cambodia's total exports. The tourism industry has continued to grow rapidly with foreign arrivals exceeding 2 million per year since 2007 and reaching over 3 million visitors in 2012. 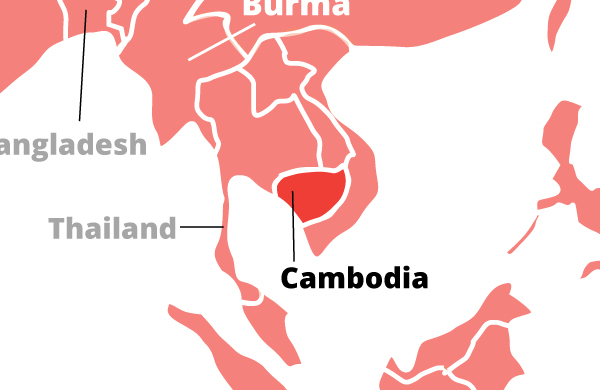 Cambodia, nevertheless, remains one of the poorest countries in Asia. Most rural Cambodians live in small villages of two hundred or three hundred people. Houses are built on stilts to keep them above the floods of the rainy season. Poorer Cambodians live in single-room dwellings with thatched roofs and walls. Platforms under the house provide space for sitting and napping. Both humans and animals benefit from the shade during the hot season, and the protection from the rain during the rainy season.